We bring you the best Krisflyer redemptions, the new IHG Rewards Accelerate promo, a nifty Cryptocurrencies guide, travel to Kazakhstan and Ukraine, get you signed up for another IHG Accelerate promo, get you a way to handle them Southwest gift cards, two amazing tributes to people we lost recently, a totally awesome video about the incredible beauty in Canada and more for freeeeeeeeeee! A major bank has declared war on us serial signupbonus getters and there are no signs of slowing down, sad! Chase is Making a Statement. Well, the big news in the airline world in the past few days was British Airways attempting to buy Norwegian Air. This is NOT good for lower fares! What are the best Singapore Airlines KrisFlyer redemptions? The new IHG Rewards Accelerate promo is here. Here is a DIRECT LINK. Be aware of bloggers sneakily passing their own affiliate links so they will make money off of you unless they CLEARLY disclose it. You know like this perhaps <—–AFFILIATE LINK and not somewhere you will not even bother to look for it. Ebates shopping portal has a 13% cash back sale in 75 stores. Here is my link <—–REFERRAL LINK. See? All right, I got a bunch of these! Finally! Southwest Airlines Gift Card Balance Checker Now Working. Randy Petersen with a touching tribute to Tim Winship. I knew this was coming, well deserved. And here is Mile Nerd with an amazing tribute to his grandfather. Loved this post, anyone been to any of them? 13 Unique U.S. Restaurants That Once Had a Much Different Purpose. Short trip report post from Kazakhstan at GlobalGaz. The world’s largest ice carousel. This is so cool! 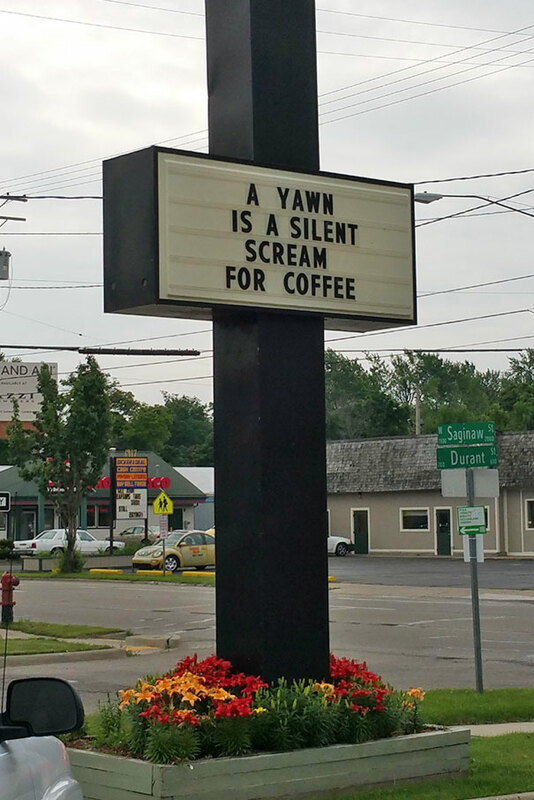 It’s in Maine. One of the BEST videos ever posted at TBB. Canada: Coast to Coast in 8k. WOW! I had never hear of Sambo’s. A TBB reader provided this link in the TBB comments…where magic happens! Pancakes and Pickaninnies: The Saga of ‘Sambo’s,’ The ‘Racist’ Restaurant Chain America Once Loved. What a story! I don’t get into the NBA until the playoffs start. I think the Portland Blazers may surprise some people. And this guy is great! How Portland fell in love with Damian Lillard in the age of NBA super teams. What a story! Guy Incubates Quail Egg He Bought at a Supermarket and you won’t believe what happened next. Made a business out of it in YouTube #mindblown. Good educational infographic I am not going to post the image of as it takes so much space! A Beginner’s Guide to Cryptocurrencies. You got that right, I am pretty sure we all knew nothing about this place! 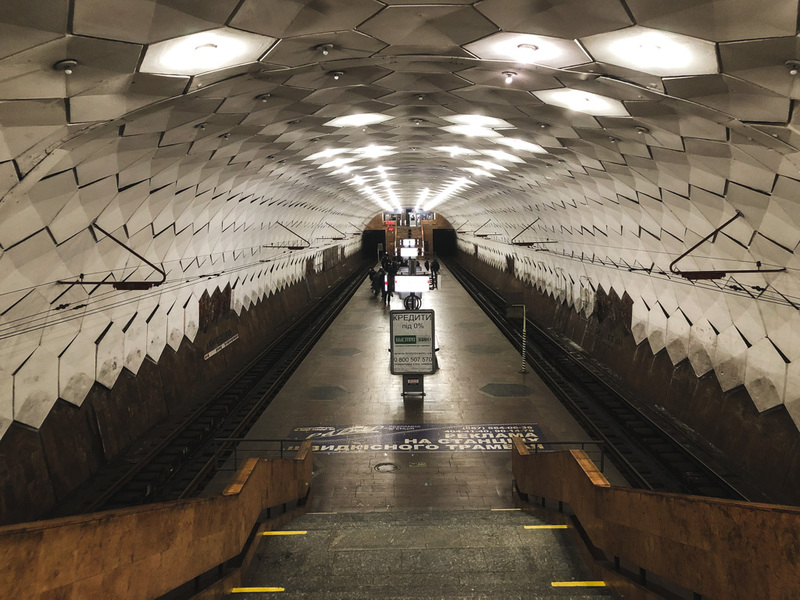 Krivoy Rog, Ukraine: Quick Travel Guide to a City You Know Nothing About. 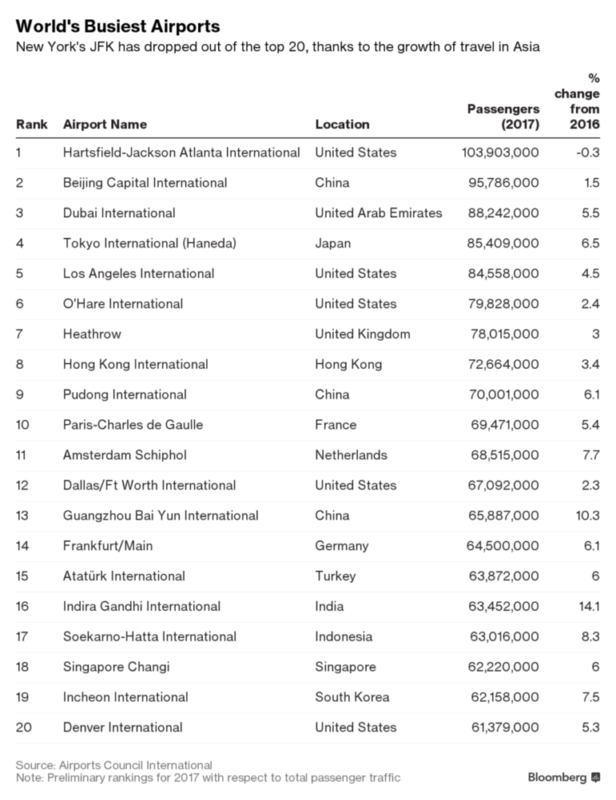 World’s Busiest Airports via Bloomberg. Another TBB fav song, “When I’m Small” by Phantogram. Good to know! ANA Has Dropped Fuel Surcharges for Award Flights on Scandinavian Airlines. In case you were wondering…How to Find AA Awards Space on BA.com. Keep trying, it will eventually show! You too Patrick at Frequent Flyer Bonuses? You did a Friday interview too? To all, these interviews are done by email. And the questions have never changed. Yawn…I should do a list of bloggers who have not done a Friday interview there, sad! After son did Portugal, he is looking to be coming back soon after a semester in Madrid. Looks like he will be flying back from Amsterdam. Plenty of 30k award seats on direct flights to Detroit, I hope I don’t jinx it! Don’t forget to add that tall MilesforFamily blogger to that behind kissing list of yours! Leads with TPG link when numerous other bloggers posted about it and TPG always posts last…I wonder if they link to that every time thinking inside “Will they notice me?. The quality of writing of Mile Nerd when it is compared to the writing of so many bloggers out there is like night and day! Any clue what he is up to? There will be a void when he quits the blog on 12/31/18. Maybe you offer him a guest post slot here TBB? It will be funny to see how bloggers soften up the news of the coming Marriott Rewards annihilation of their loyalty program. Hey, you know, like you always say….got to keep selling the plastic! Get your wife to pose with her new CSP card. Bonus if she holds a sign “I am not Emily” lol. Enjoy the spring weekend to all commenters! That Tagging Miles Trevor dude should be on the very top of that list actually….Never seen a bigger Titan fan boy than that guy WOW! yes i wish i could write like mile nerd. beautiful post today. In award booking, yes. Not in life. Thanks for sharing my article, George. Really appreciated MileNerd’s post. I guess I’ve been living under a rock all these years, as I’d never heard of Tim Winship. Condolences though in any case. @ Josh: Welcome to the bot free community of Golden commenters here! @ Bond007: Noted. Can’t believe that Points, Miles and Zucchinis blog just blatantly never misses a chance to NOT post an affiliate link, WOW! If I did that here…u won’t believe what will happen next, mayhem! @ Raffles: Thanks for clarifying! @ Ric and Dustin: You are welcome. I post what I find, always adhering to the mission of the blog. Those were excellent, so thank YOU! @ DML: I agree 🙂 And thank you! @ Ryan: Yeah, very moving read. I want to be like his grandfather! There is no doubt you read Tim’s writings…he did not promote his name much but was a workhorse with different “names” over the years! Good morning George, thanks for linking to my Southwest Airlines gift card balance check your post. Glad I could share some good news with you from the airlines. Have a great weekend. U enjoy the weekend too! The design of the ANA emails remind me of the DOS era! Just burned 30k miles for son to fly back AMS-DTW. Plenty of award seats! Looks like the post on using credit cards to pay taxes at 10CCAAT must have been very conversion friendly, they are back for another post selling another batch of ten cards! 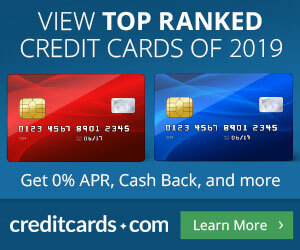 Sadly for the readers, no PenFed 3% cash back card. But Points With a Crew is always dead last! Recently discovered Phantogram, good stuff. Have you listened to Beats Antique? No, not aware of them. We have the best bots in the TBB comments…where magic happens…and lots of zeros and ones apparently lol. It appears 10CCAAT is on a roll lately! why sell one card at a time when you can do a dozen? All that matters is conversions! Getting desperate for conversions out there in Bored Area!